Urijit Patel has reputable college degrees in his kitty plus plethora of experience on variegated economic and monetary fronts. Here is wiki link to his profile Urjit R. Patel. ‘`Dr. Patel has been at the helm of institutionalising the inflation targeting regime in the monetary policy framework. His appointment signals continuity of policy intent, both on part of government and the RBI. '” – Arundhati Bhattacharya, chairman of State Bank of India. 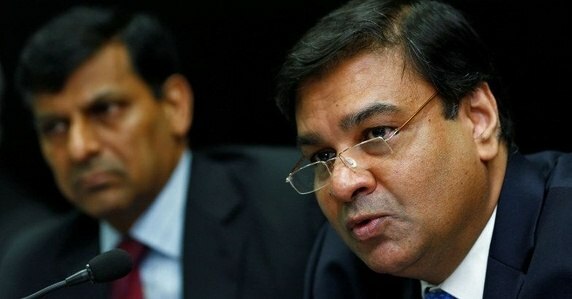 No politics at play : Urijit Patel was an appointee of the erstwhile UPA regime and had even gone on Hindi TV channels to speak on behalf of the government’s policy. This implies that the current NDA government has overlooked politics and put its weight behind meritocracy. This is upholding the sanctity of democratic institutions for which it often gets flak unfairly from left intellectuals and media houses. An apt choice : Prior to his appointment as the Deputy Governor of the Reserve Bank, Patel was Advisor at The Boston Consulting Group. His first job was at the IMF. Not a puppet of the government : For the first time, a systematic approach and an objective mechanism has been put in place. The appointment was made based on the recommendation of the six-member Financial Sector Regulatory Appointments Search Committee (FSRASC). Basically the government has not played any agenda except meritocracy in his appointment, contrary to what many a media houses were projecting. This is important since in economics it is an accepted notion that central bank governors and finance ministers need to keep a check on each other’s actions for a stable economy. Aggressive inflation targeting to continue : Urjit Patel has been seen as a fiscally conservative person and already hailed as RBI’s inflation warrior. He was responsible for RBI’s report on switching to retail inflation targeting. He is also in charge of the crucial monetary policy department. This is important considering aggressive inflation targeting that the government has embarked upon to reduce interest rates and hence stir up the economy and infrastructure growth. An experienced ‘inside’ person : Patel has been Deputy Governor at the RBI in charge of monetary policy, economic research and financial markets operations since January 2013. He was Chairman of the Expert Committee to Revise and Strengthen the Monetary Policy Framework. He has worked with Rajan on various fronts and shall continue things in the burner. Hopefully, he shall leave a good legacy of his own and not be seen as shadow of the past which was driven by Rajan.